Most guitars have the maker’s brand name displayed on the headstock. 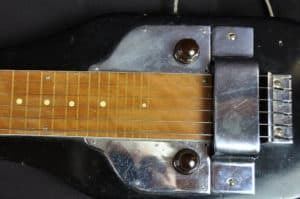 However the headstock of this old lap steel displays what amounts to an advertisement, and there are no other identifying marks on the instrument. 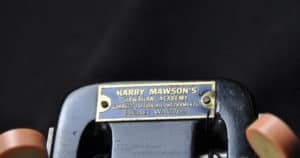 The brass plaque on the headstock boldly proclaims Harry Mawson’s Hawaiian Academy – correct tuition all instruments – phone WA2769. There are many instances of guitars sold under brands other than the manufacturer. For example Valco produced instruments under names such as Airline, National and Supro, some Swedish Hagstrom guitars were branded as Kent, the Italian company Eko produced guitars for Vox in the 1960s, and in Australia Eko guitars were sometimes branded as Eston, a house brand of Rose Music. However, instruments carrying the brand of a music academy are less common, and I’m not sure about the effectiveness of Harry’s promotional strategy! There’s not a lot of information readily available on his academy, but he probably did quite well riding the wave of popularity of Hawaiian music in Australia in the earlier part of last century. Records indicate that Harry Mawson’s Hawthorn Banjo and Guitar Club existed in the 1930s, and was later renamed as Harry Mawson’s Hawaiian Academy. 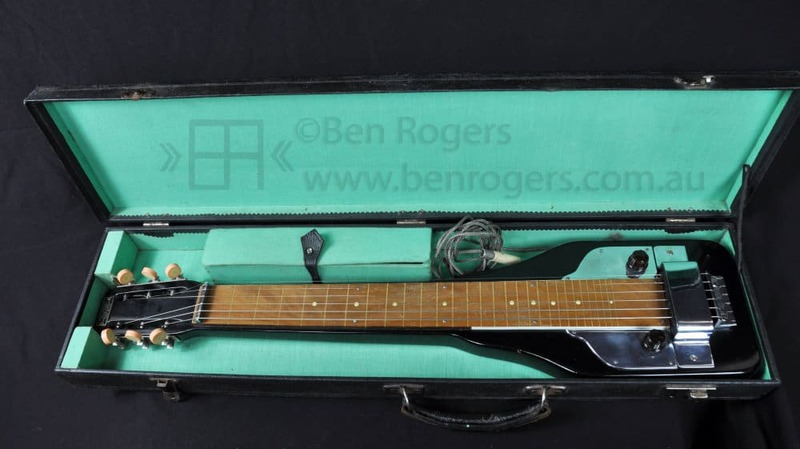 All indications are that this lap steel guitar is a Maxim, made in Richmond, Melbourne in the 1950s. 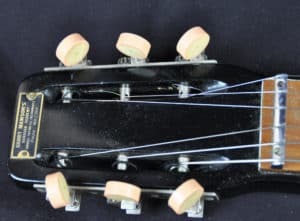 Maxim instruments were made by Peter McCarthy, a guitar and banjo player who worked in the ABC Dance Band and the ABC Concert Orchestra as well as working in theatre orchestras for many years. He also made guitar amps, which although not well known, are highly regarded among connoisseurs of vintage valve (tube) amps. 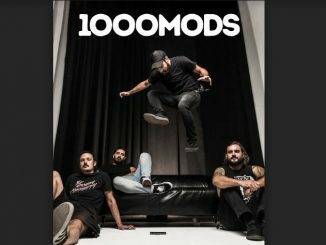 Former Perth guitarist Rick Veneer is a long-time Maxim amp user, and has some interesting background on Peter McCarthy on his website. http://rickveneer.com/maxim-peter-mccarthy/. The full history of this instrument is not known – I purchased it from a Bryce Skidmore, who told me his brother Byron bought it second hand many years ago from a mate whose father had owned it from new. 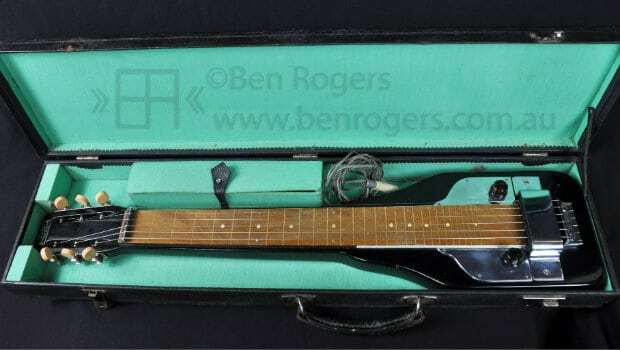 It came in its original case, and even included a Bakelite slide and metal finger picks. The co-axial cable is “captive” – permanently connected to the instrument, as was common in the 1950s. The fingerboard and the metal cover plates are secured with stainless steel nails rather than screws. The original machine heads still work fine, albeit a little stiff and with the knobs discoloured with age to a rather nice shade of pink. The hand-wired pickup produces a beautiful clear tone, and sounds even better through an Ibanez tube screamer. For those curious about Harry’s alpha-numeric telephone number on the plaque, the 2 digit alphabetical prefix was used prior to the introduction of automatic telephone exchanges, and WA was used for the Hawthorn exchange. Ben Rogers has played guitar for a long time, and has accumulated an odd assortment of guitars over the years. He plays around Melbourne with Instrumental Asylum – a surf/spy/guitar-noir group, and also with his gypsy-jazz combo The Ben Rogers Trio. Ben I too have a Maxim, mine has ended up in the UK. your guitar has the same metal nut as mine and the bridge is very similar, the wood used for the fingerboard is much the same, an Aussie wood with white inlaid fret lines. It is the guitar that stays out on the stand and I am most comfortable with. Hi Lee, just saw your comment. Does your have the captive lead like mine? I didn’t know Harry, but I was taught by his wife around 1956/57, I then taught there myself. I’ve still got a lot of music from the shop with Harry’s arrangements. Jack Westmore ( CH 9 music director ) also taught there. The Mawson’s (mother and 3 sons ) lived on the premises on Glenferrie Road. From there, I went on to band playing around Melbourne. I’m now 76, and about to get back into it with a just purchased Gretsch guitar. Great to get some background info on the Mawsons. Good luck with getting back into the music! Great article. In my opinion my Maxim amp is the best amp on the planet. (Btw that link to my site should read http://rickveneer.com/maxim-amplifiers-peter-mccarthy/). Peter was an unsung national treasure.